In GST regime each invoice will have to mention HSN code for each item sold or SAC code of each service provided. 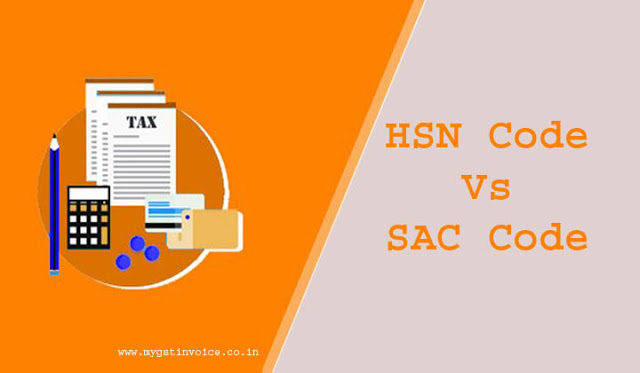 As we reach closer to GST roll out date (likely to be 1st July, 2017), it becomes imperative for us to understand how new concept of HSN and SAC codes in GST will affect you and your business. HSN (Harmonised System of Nomenclature) is a multipurpose international product nomenclature developed by the World Customs Organization (WCO).In India; HSN coding is currently used under Excise, Customs, and state Value Added Tax (VAT) laws and is now also proposed to be used under Goods and Services Tax (GST) law, for classification of products/goods. It includes around 5,000 commodity groups; each recognized by a six digit code, organized in a legal and logical structure and is supported by well-defined rules to achieve uniform classification. The system is used by more than 200 countries and economies as a basis for their Customs tariffs and for the collection of international trade statistics. More than 98 % of the merchandise in international trade is arranged in terms of the HS. Under Goods and Service Tax law, the HSN code to be utilized by a taxable individual for classification of goods will be based on the taxpayer's turnover. The HSN code needs to be declared on the tax invoice and also to be reported while filing the GST returns. SAC Code means Services Accounting Code. SAC code is used to classify services falls under GST, Goods and Service Tax in India. In the current service tax regime, SAC codes are already defined for each type of service. The taxpayers with turnover between Rs. 1.5 crore and Rs. 5 crore in the preceding financial year, need to specify HSN codes only at 2-digit chapter level as an optional exercise for the first year of GST operations. From the second year of Goods and Service Tax mechanism, specifying 2-digits part level HSN code will be compulsory for all taxable individuals with a turnover between Rs. 1.5 crores and Rs. 5 crores in the previous financial year. HSN code of 4 digits will be mandatory for taxpayers having turnover more than Rs. 5 crore in the preceding financial year. Turnover will be considered on the basis of taxpayer's self-declaration for the first year. After completing the first year under GST, the turnover for the previous year will be considered for determining the use of 4-digit HSN codes. HSN codes of 8 digits are mandatory in case of export and imports of goods. In the case of imports/exports, HSN codes of eight digits shall be compulsory, as GST has to be compatible with global standards. Check and download HSN Codes for products. Small dealers under composition scheme will not be required to mention HSN codes in their invoices.